My thanks to Robert Oster for sending me this sample. 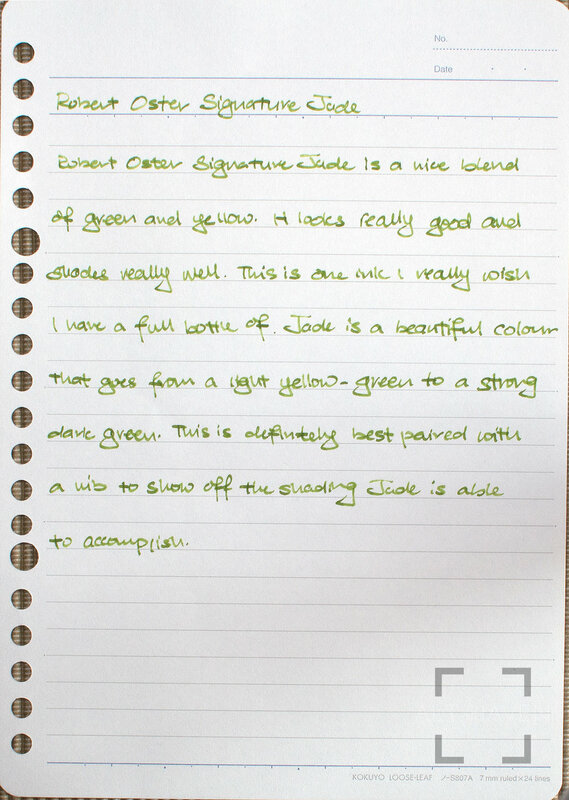 Robert Oster Signature Jade is a nice blend of green and yellow. It looks really good and shades very well. This is one ink I really wish I have a full bottle of. Jade is a beautiful colour that goes from a light yellow-green to a strong dark green. This is defintely best paired with a nib to show off the shading Jade is capable of.